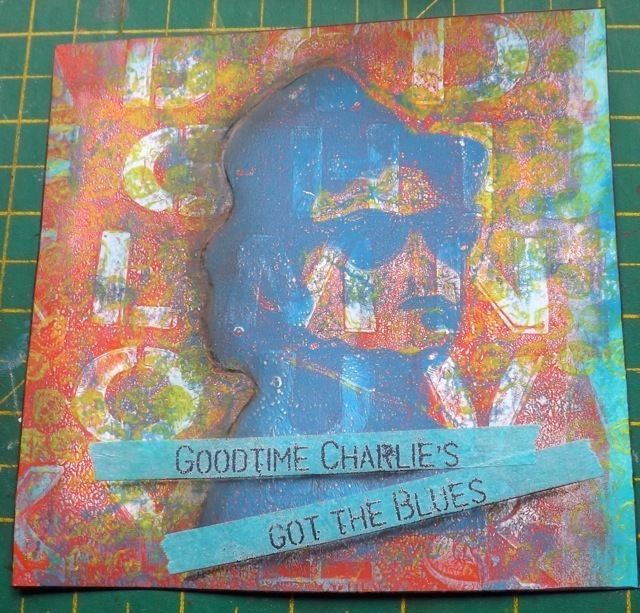 Goodtime Charlie’s got the blues…. 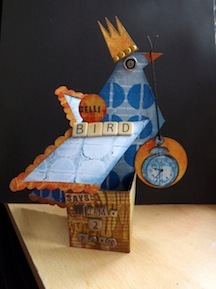 I was messing about with my Gelli plate the other day, and had the idea to cut a mask from a dingbat. 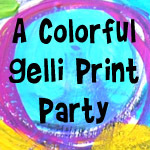 I loved the Frida stencil on Carolyn’s blog (she of the Gelli Print Party) and wanted something a bit like that. 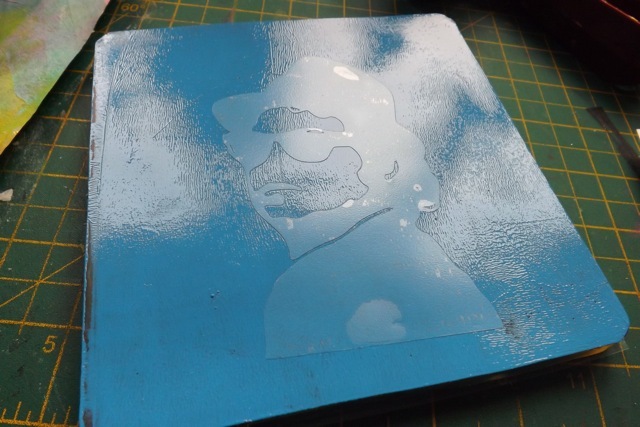 Rather than go artist, I went pop culture, and cut a dingbat of the Blues Brothers – well, one of them anyway. 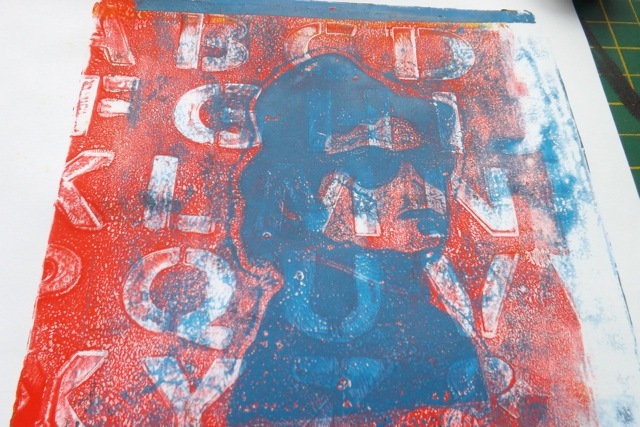 The print I liked best was when I pulled the unmasked area, then pulled the paint that had been trapped under the mask over another print. The title just came to me, song lyrics, of course, and now I just can’t get it out of my head. I suppose it’s not that bad, it could have been Rubber Biscuit! LOL! Did the printing and embossing on Washi tape again, to add the text. I really need to source more thin, solid colour Washi tape. Maybe I can cut the standard size tape in half…. Now I just need to figure out if an idea I had for using these sorts of little prints that are self-contained pieces of art will work. But I won’t manage that today. I think I am catching DDs stinkin’ cold. Grrr. 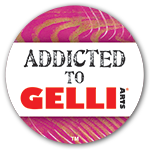 I am ever hopeful that the 8×10 Gelli plate, sourced from a fellow WOYWW mate, from the Marketplace on UKS, will arrive in the mail today. How frustrating it will be if it does and I am feeling too rough to actually play with it….I am keen to play with bigger prints.